The best show in town is watching Shanghai’s lights come up after sunset with a signature jasmine martini in hand at Zpark. Enjoy one of the signature Jasmine Martinis at our Zpark Cocktail Bar and watch as the sun sets and Shanghai’s magnificent lights come on. It’s one of the many unique experiences waiting for you at the Renaissance Shanghai Zhongshan Park Hotel. 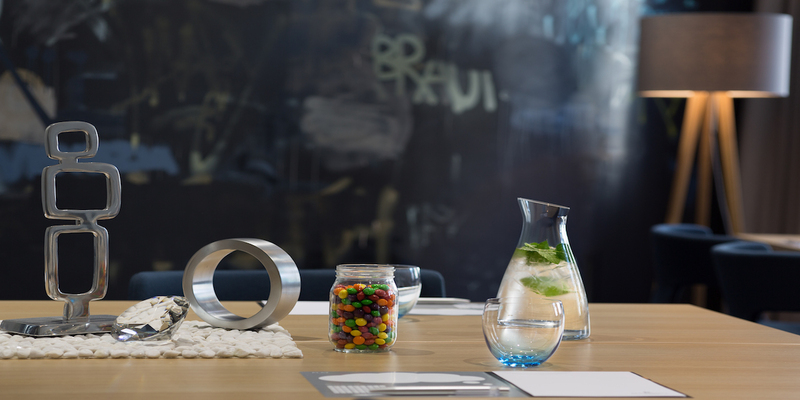 The prime downtown location, impeccable service and world-class facilities mean we have been regularly voted among the favorite destinations for business travelers across Asia. And at 60 stories tall, we’re proud to claim a place in Shanghai’s awe-inspiring skyline. Friendly and knowledgeable in-house Navigator Dennis is always on hand to help guests explore this incredible, diverse city, whether for business, pleasure or both. Opened in December 2017, this is one of the world's largest Starbucks, with the on-site roasted coffee shop . This gigantic Starbucks is a highlight of the city. When you push open the door to its building that looks like a circular theater, you'll have the illusion of entering a palace. From coffee roasting to production, packaging, and brewing, an extraordinary experience awaits. It is also equipped with China's first tea culture bar. 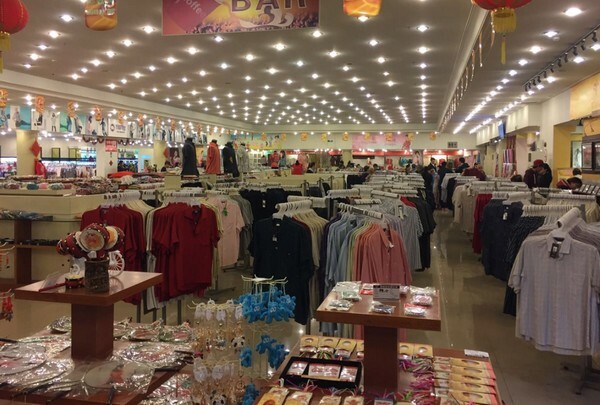 This is a collection of retro and modern shops, you can buy a lot of interesting accessories. The gate is really very small and easy to miss. pushing open the iron gate seems to have strayed into a mysterious garden. The clothes in the store are all very fashionable, but the ornaments are very retro. The owner is very friendly and known to help patrons with their shopping experience. 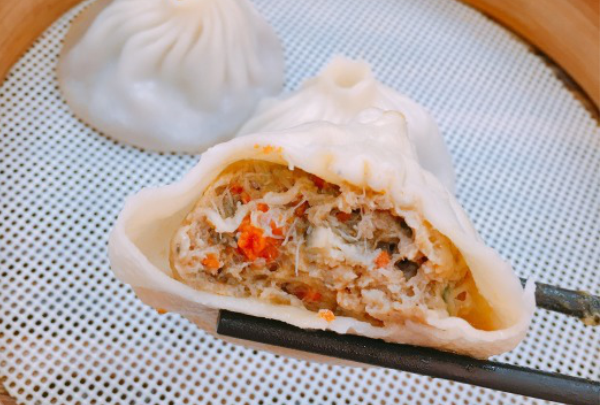 Located in the quiet Yuyuan Road, this is a popular spot for dumplings in the city. You will experience an old Shanghai vibe when you enter the restaurant. The crowd is a mix of families with even the elderly and young coming in to taste delicious food. The crab dumplings are the most famous. 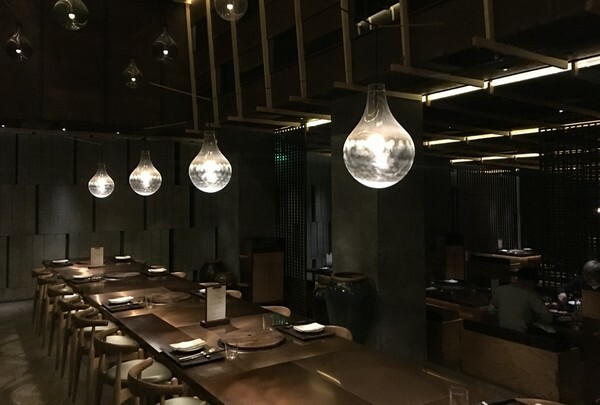 Wonderful restaurant located in the Nanjing Road area. The owner of this restaurant is a man who loves food and has lived in France for more than 30 years. The restaurant is located in most famous shopping district in Shanghai - Nanjing Road. The restaurant is easy to miss, but once you find it and try their delicious cuisine you will never forget it. The largest tea market in the west of Shanghai city. A gathering place for tea and culture. 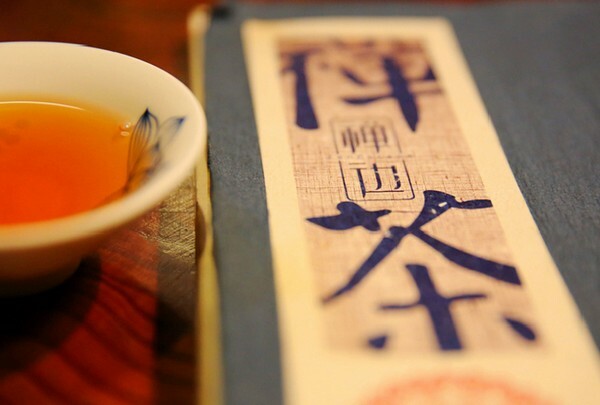 Tea culture has a long history and is located in the Tianshan tea city in Changning district. You will see the ancient Chinese architecture with white walls and red tiles. You can buy various Chinese tea leaves such as black tea, green tea, pu' er tea and various tea sets. You can choose a shop and sit there and drink a pot of kung fu tea made by hand. Located in the cultural district of Shanghai people's square, the building was originally the Old Shanghai Happy Valley Association. 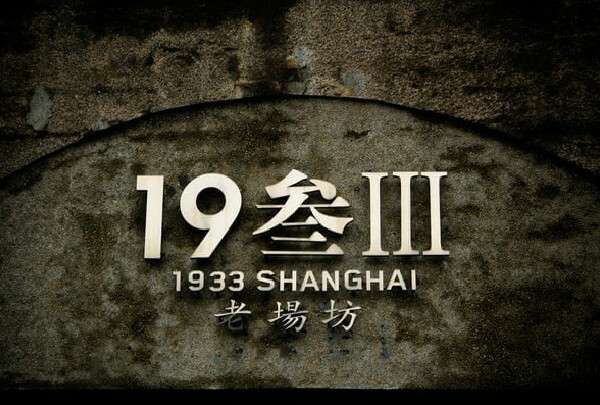 Today, it is a museum that reflects the local history and geography of Shanghai. It integrates collections, research, display, and education. 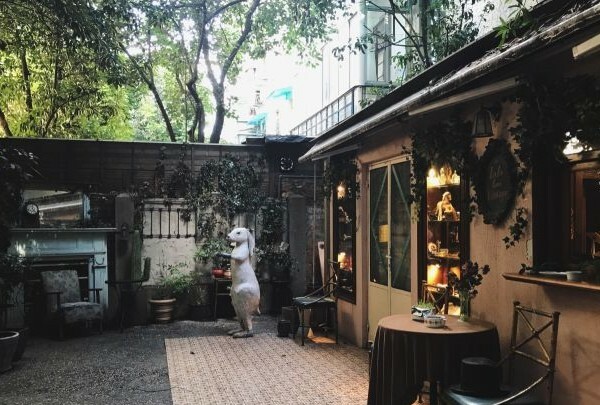 This is a lovery small coffee shop with a small but beautiful yard. Coffee or Tea offers both regular customers and passerbys a rewarding, uniquely comforting experience upon entering. 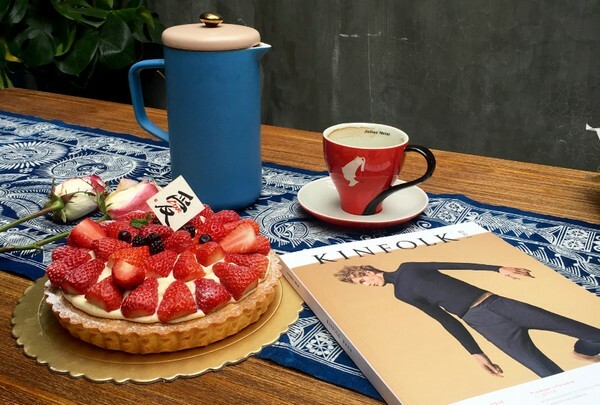 Tucked away inside a small apartment block on Xiangyang Bei Lu, the cozy little shop offers a simple selection of coffee, tea, and homemade desserts. 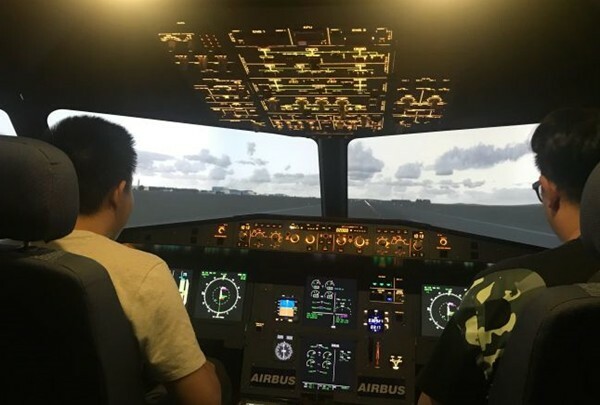 The first experience center in Shanghai is a perfect place to experience a simulated flight. Here, you can be a part of a real plane landing and takeoff, inside a simulator. Clab in a pilot's uniform, you can select the airport of your choice inside the VR- enabled cockpit. The cabin is exactly the same as the real plane, with all the readings of control lever, instrument panel, lifting lever, temperature, airflow and altitude. 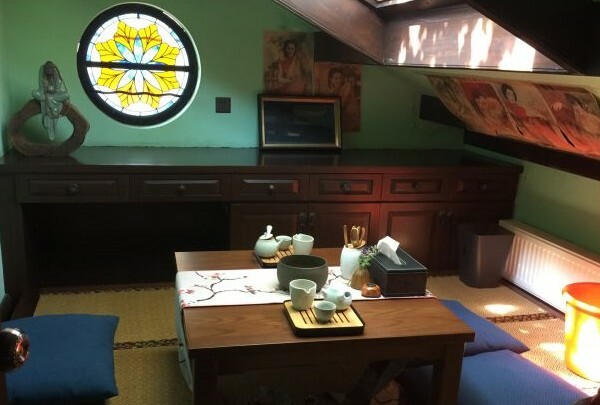 An old Shanghai style tea house, QIAN YU 1913 is a quiet getaway from the noises of the city. Chinese furniture and tea sets along with aromas of freshly-brewed tea create an inviting atmosphere at this quintessentially Chinese tea house. The Noda's garden, outside the tea room, complements your visit with soothing, verdant views thus satiating all your senses. Shanghai 's biggest Victoria's Secret. Shanghai 's largest Victoria secret is laid out like their famous store at New York's Fifth Avenue, Each floor has specific products and features. The first and second floors are mainly for shopping, and the third floor is for performances. You can find a satisfying gift for your loved one here. A creative vegetarian restaurant with a Zen ambience. The name of the restaurant Fu He Hui comes from translations of three Chinese characters, meaning "fortune, harmony, and wisdom." It's a vegetarian Chinese restaurant with cuisine ranging from traditional to fusion. 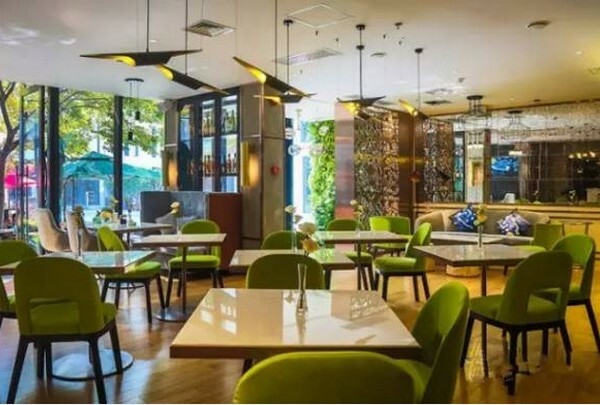 The restaurant has been nominated as top restaurant in Shanghai, meaning it's a must visit restaurant for vegetarians while in Shanghai. One of the premier locations for contemporary art in Shanghai. M50 is a district which has more than 60 art galleries and over 100 resident artists. 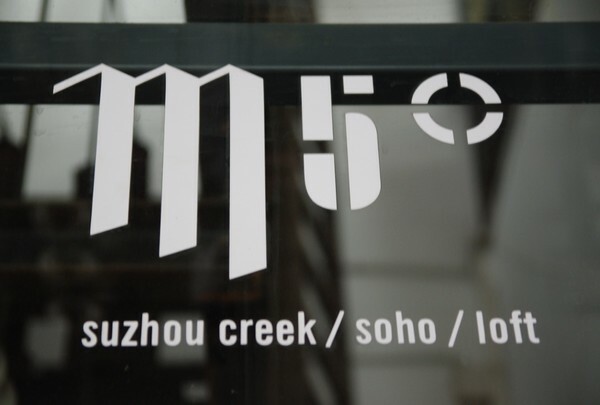 The M50 is located along south of Suzhou Creek, where there used to be dilapidated warehouses. 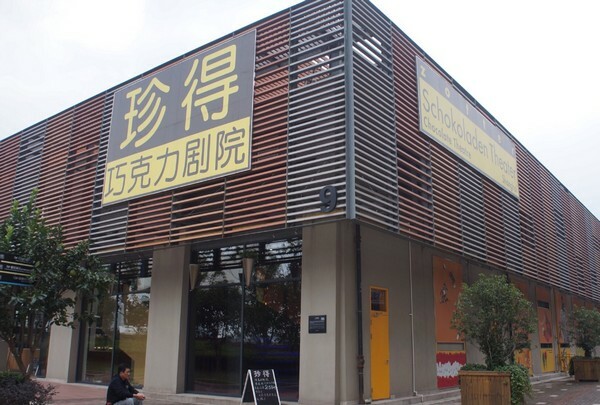 Now that area has been turned into one of Shanghai's premier locations for contemporary art. 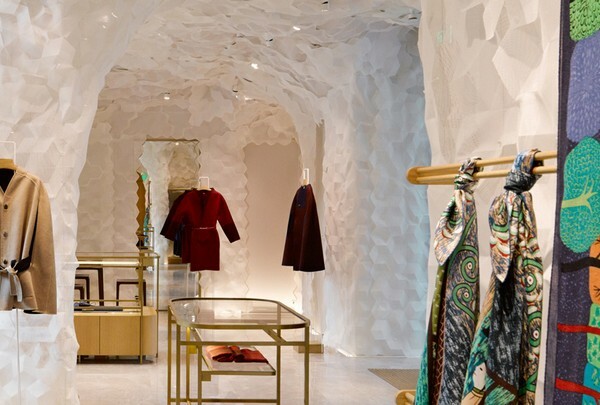 Shop for exceptional objets de art and other haute couture in a surreal, beautiful space. They ship worldwide, of course. A Chinese brand that has been acquired by Hermes, this shop has 3 floors. The first floor is housewear & furnishings, like coasters and tea sets. 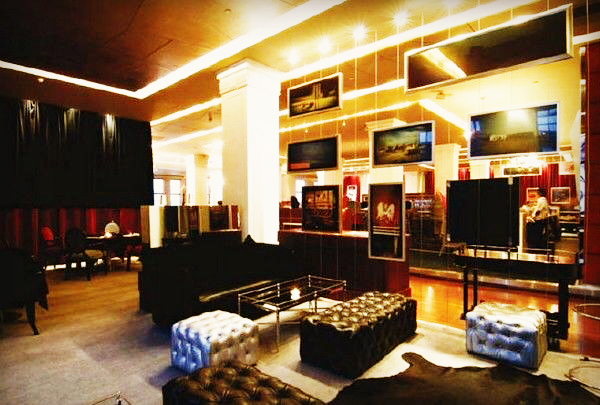 The second floor sells furniture, and the third floor is a private furniture area for VIPs. Small Feiyue shoe shop with a variety of colors available. To a man who born in the 70s and 80s in Shanghai, Feiyue shoes meant sports, durability and fashion. In 2006, the company was bought and expanded to France, making this Chinese national brand popular again not only in China, but all around the world. One of the best restaurants located on Bund area, with a nice terrace which has the best view of the Huangpu River. 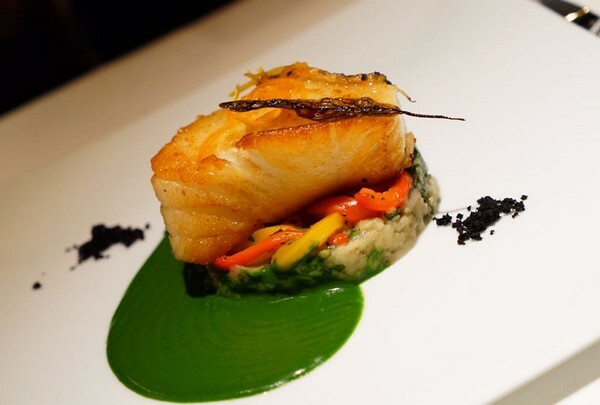 The chef of the restaurant, Paul Pairet, presents the French fare here with a stunning presentation of the dishes that turns fine dining into fun dining. For a nice dinner in Shanghai go to Mr & Mrs Bund, where you will never be disappointed. One of the top Italian restaurants in Shanghai. After a great success in Hong Kong, Michelin 3-star chef Bombana and his team opened this restaurant in Shanghai, Executive chef Alan Yu personally selects ingredients from all around the world. An elegant dining environment with beautiful views of the Huangpu River. One of the best Puer tea houses in Shanghai is located in a French-style building. The aroma of the Puer tea can easily be found in this tea house that is full of old Shanghai decorations. From the flooring, winding stairs, doors, windows, furniture, and paintings, it a perfect combination of Chinese elements and European-style architecture. 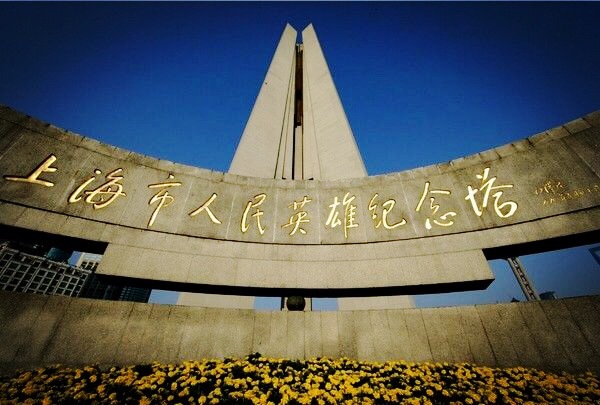 Built in 1993, this monument honors the martyrs who have given their lives for the liberation of Shanghai since 1840. The People's Heroes Monument looks like three pieces of a rifle, representing the Opium War, the May 4th movement, and the Liberation War. The tower is 120 meters tall and 3.8 meters high, standing tall and upright inside Huangpu Park on the beginning of the Bund. 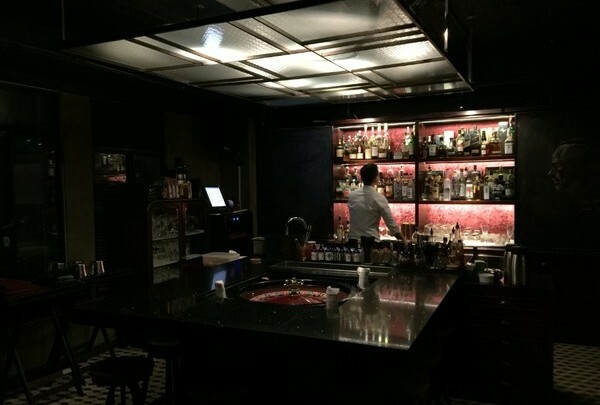 The bar has no drink list, but the prices are reasonable with the average being about RMB40 per drink. I recommend that you sit at the bar. The bartenders are two ladies from Tibet who very friendly and talkative. They also invited me to eat the yak jerky they bring from Tibet. The highest observation deck in Shanghai located on the 100th floor of the Shanghai World Financial Center. 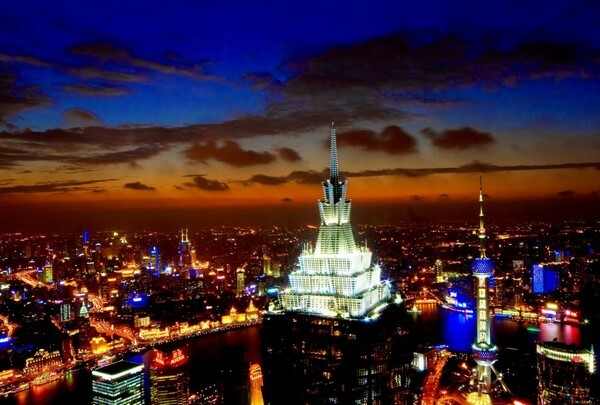 Located on the 100th floor of the Shanghai World Financial Center, this is the highest observation deck in Shanghai. Step on the transparent floor that is more than 470 meters off the ground - this will bring you a shock you have never felt before. Korean barbecue by Jean-Georges Vongerichten and his wife Marja. The name of this restaurant, Chi-Q, has “Chi” because of the famous Korean dish-kimchi, and “Q” to represent barbecue, or BBQ. Guests to this Korean barbecue joint can tuck into some truly delicious barbecue dishes with Korean flair. The first Liuli art museum in China. The Liuli museum is divided into two floors: the 1F is the exhibition area of the Chinese ancient Liuli series, and it contains more than 50 masterpieces from 10 of the most famous modern Liuli artists. The show pieces on 2F have a strong local essence, with Buddhist and Chinese traditional calligraphy pieces included. This restaurant is located on the former site of China's first YWCA. The name of this restaurant comes from the Bible verse, "The Light that cannot be Hidden, The Salt that cannot be Tramped." The restaurant is located on 6F of the Rock Bund building. A place where you can taste more than 400 different kinds of chocolate. The owner of this chocolate theatre, Mr. Josef Zotter, is also the owner of a very famous chocolate factory in Europe. Throughout Europe his company is the only manufacturer that produces organic and fair trade chocolates starting from the bean (bean-to-bar). In the Zotter Chocolate Theatre you can see the entire manufacturing process from chocolate bean to chocolate bar. Handmade Chinese silk embroidered slippers and clothing. This is a very nice tiny shop located on Fuzhou Road. In this shop they sell shoes, bags, scarfs and embroidery art and crafts. All the items in this shop is handmade and unique, especially the shoes and slippers with traditional Chinese embroidery on top. This is the first Gucci restaurant in the world. 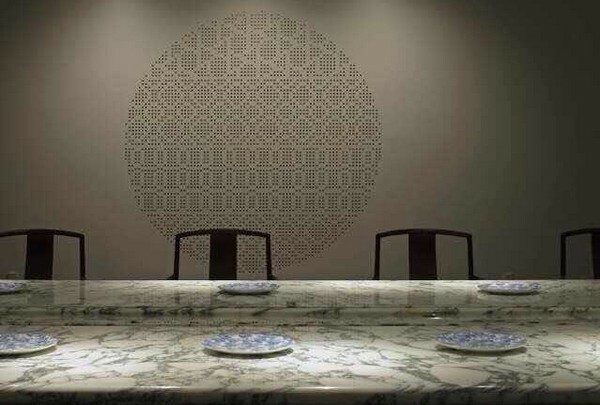 After the the Gucci Caffè opened in Italy and Japan, the 1921Gucci restaurant has finally opened in Shanghai. The first Gucci restaurant in the world, the restaurant serves Italian food. If you are going to 1921Gucci you must try the pastas, risotto and their home made tiramisu. This is a restaurant that has a fully-functional brewery. This restaurant is owned by Kelly Lee, the woman behind Sproutworks, iiiiit, Boxing Cat, and Cantina Agave. This restaurant has a fully-functional brewery and usually serves dozen of different kinds of homemade beer. There is creative cuisine that draws inspiration from the Mediterranean and the American South as well as wood-fired oven pizzas, rotisserie chickens and hand-crafted charcuterie. This museum contains a collection of private historic relics. 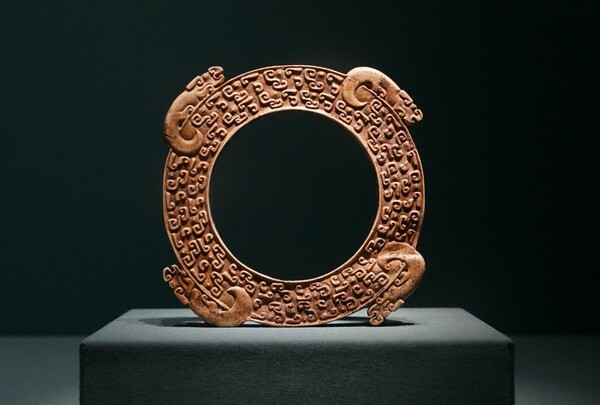 This museum has five sections of exhibitions, including thousands of collections with buddhist statues, jade, pottery, stone paintings and other pieces. The only restaurant to have two nutritionists available to serve natural and organic food in Shanghai. Thought For Food is the flagship restaurant inside The Living Room by Octave. From outside of the restaurant, visitors can see a show kitchen where the chefs are busy preparing the food. 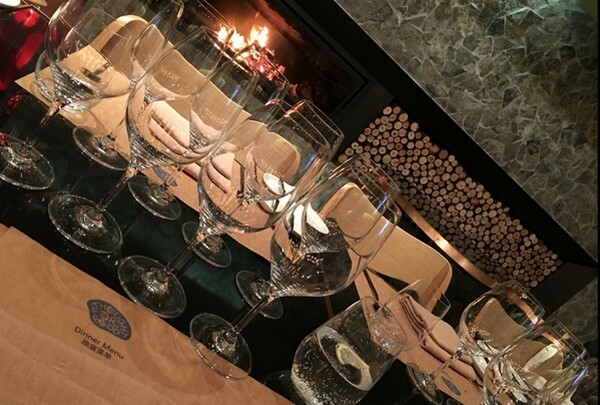 The restaurant serves natural and organic food in beautiful, contemporary ways. 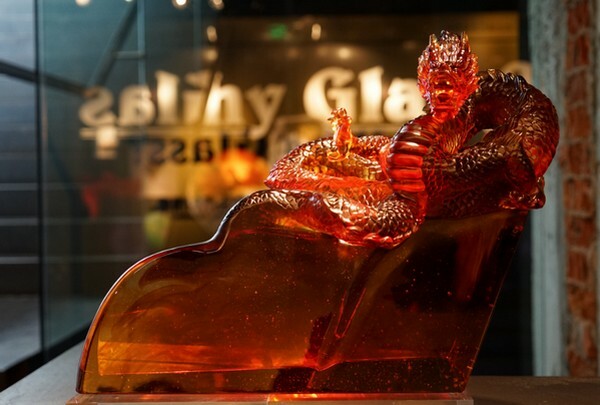 A Chinese brand which has thousands of followers including Prince Charles and Hillary Clinton. Shanghai Tang was founded by famous Hong Kong philanthropist Sir David Tang Wing-cheung. 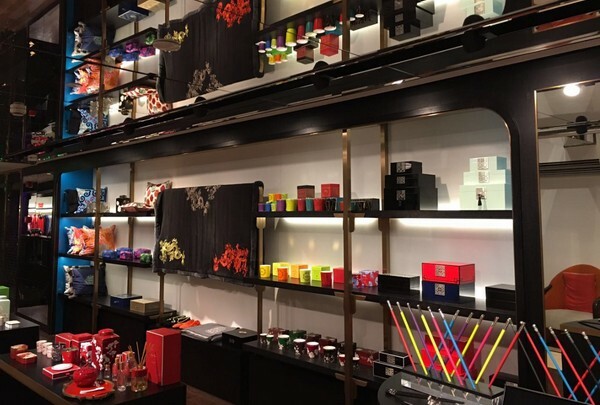 Today Shanghai Tang has 39 stores all around the world including a shop in Shanghai. 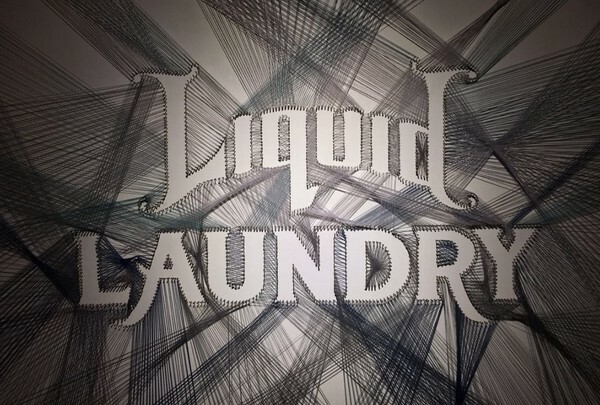 A whisky bar with a strong moden art atmosphere. 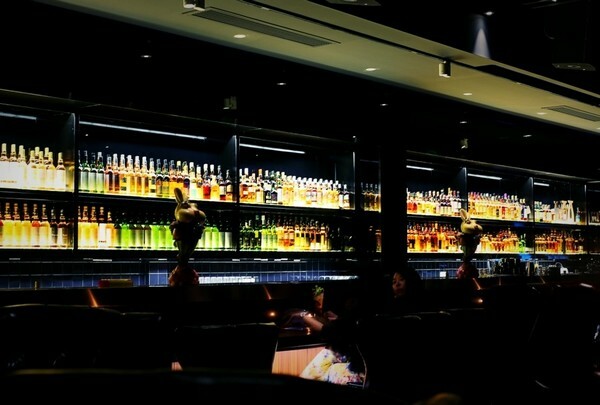 This is a very quiet whisky bar that claims to be the biggest whisky bar in China. They've got 500 varieties available. Instead of bar, it's more like a modern art museum; there are many sculptures and paintings inside the bar. 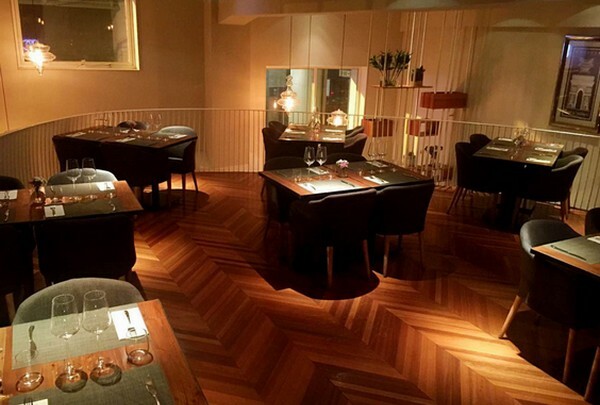 If you are looking for a quiet restaurant with fine food and art atmosphere, Etolie definitely fits the bill. 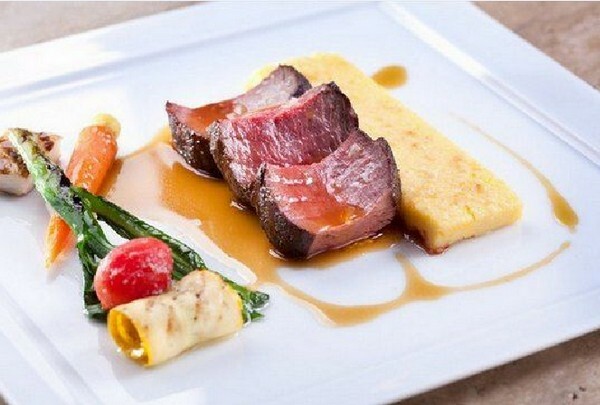 Etoile is a French and international fusion cuisine restaurant. The first floor is the dinning room, the second floor is a wine testing area that can hold a private party for about 15 to 20 people, and the third floor is used to display paintings for art shows. 1933 is an old Art Deco creative hub that was once an abandoned abattoir. 1933 used to be a abattoir which was built in 1933 in the basilica domus style. Today it has been transformed into a creative hub housing restaurants, cafes, art galleries, creative design companies, and exhibition spaces. Member of the China Jewelry Association & official supplier of EXPO 2010. 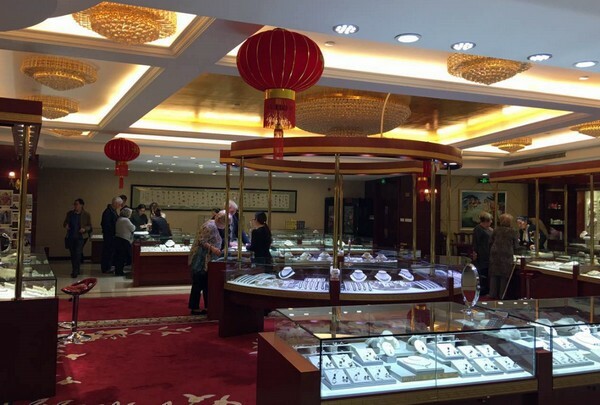 Shanghai Pearl & Jade Center is a 800 square meter flagship store that is located in the Bund. It sells natural and cultivated pearl, jade crafts with customized designs. This is not only a one of the biggest silk shops in Shanghai but is also a silk history museum. Jiangnan Silk Shopping Center is not only a tourist shopping center but is also is a silk history museum. In the museum you can see the folk silk reeling tools and equipment. You can also learn how they process the silkworm cocoon into silk product in the old silk mill. Here you will also see a replica of emperor robes with exquisite dragon embroidery on the front of the robe. 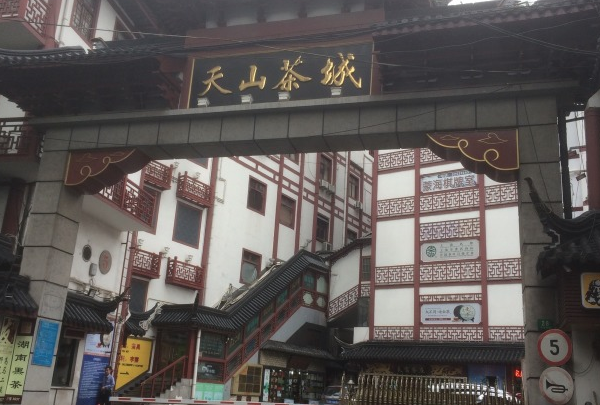 A tea house owned by the famous movie actor Jackie Chan with a strong Zen atmosphere. 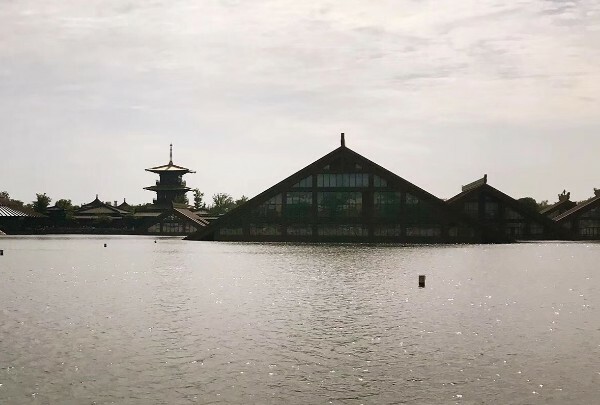 Zen Escape Tea House, Jackie Chan Film Gallery, and Dragon Oasis Restaurant are an Indispensable part of the JC88 Film Art Park, which is owned by the famous movie actor Jackie Chan. Walk into the tea house and you will feel a strong Zen atmosphere. The biggest Hermes retail shop in China. Shanghai Hermes Maison is the 5th Hermes Maison after 24 Faubourg in Paris, Madison Ave in New York, Ginza in Tokyo, and Dosan Park in Seoul. 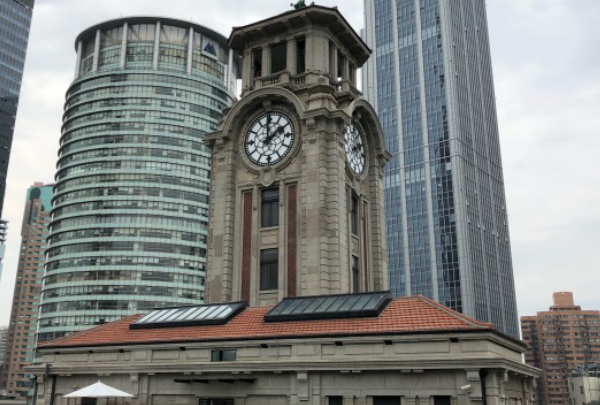 It's located on Huaihai road in downtown Shanghai. 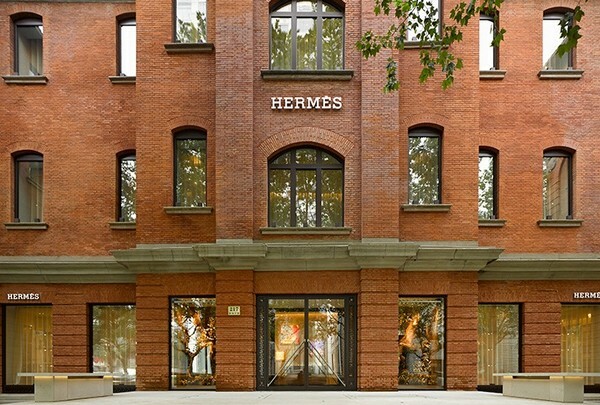 The Hermas Maison is situated in an 20th century historical building, and it’s the largest retail space in China. London steak & lobster restaurant located on Xikang Lu in downtown. Bull & Claw is a new London-style restaurant that recently opened. 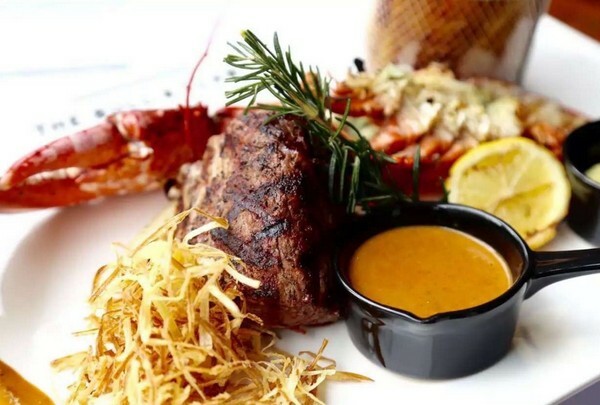 They serve steak, burgers and lobster. They also have several craft beers available for you to try. The restaurant has been awarded by That's Shanghai and Wow Shanghai, which are the most famous social media sites in Shanghai. An Italian casual restaurant with concept of "Fresh, healthy, casual" dining. 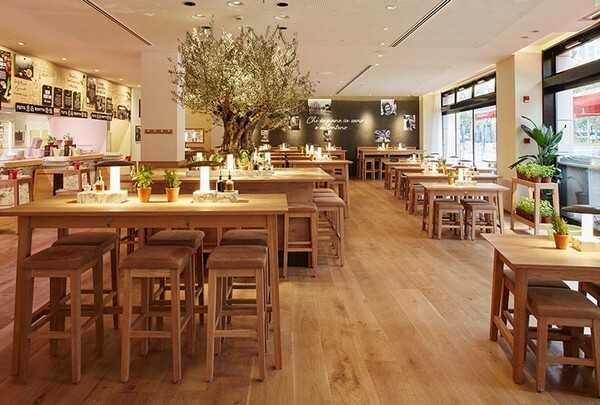 With more than 150 locations, Vapiano is a new Italian casual restaurant with open kitchen and casual atmosphere. 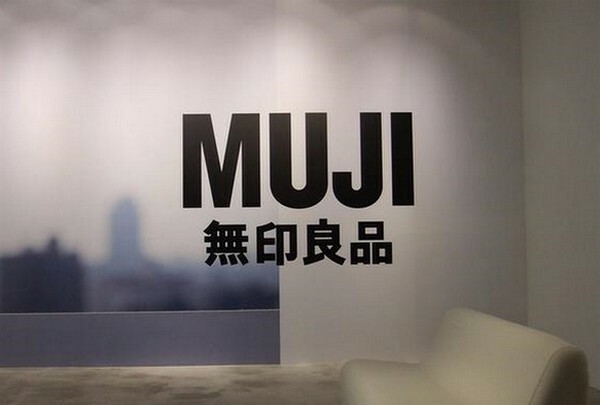 The biggest MIJI flagship store in China. The biggest MUJI flagship store opened recently on the famous shopping street of Huaihai Lu. This flagship store includes a bookstore (MUJI BOOKS. a cafeteria called CAFE & MEAL MUJI, a creative space called MUJI YOURSELF, and a furniture and housewares section IDÉE will also be opening soon. 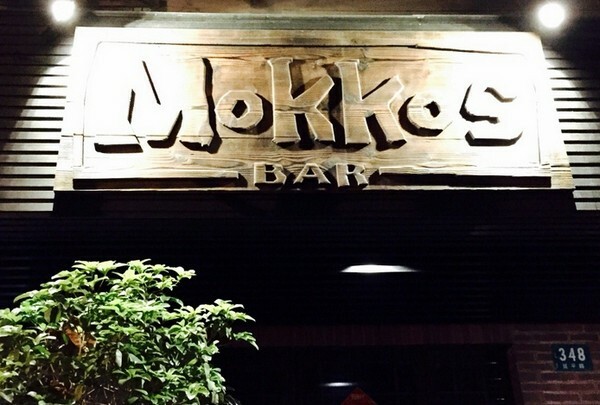 Unwind in style at this old Shanghai style bar near Nanjing West Road. 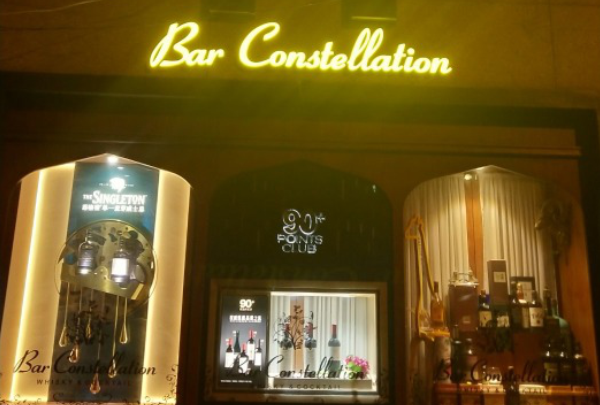 Constellation is an old bar near Nanjing West Road with old-world Shanghai decor, which is gorgeous yet warm. The subdued lighting matches the antique decor. The classic music is also a big draw, especially for couples. Some of the specialty drinks are Singapore Sling and Long Island ice Tea. Back in action after more than ten years in Shanghai. 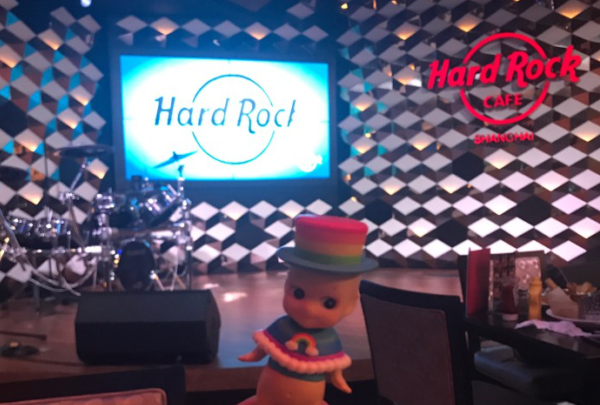 After a decade of being closed, Hard Rock Cafe finally reopened. 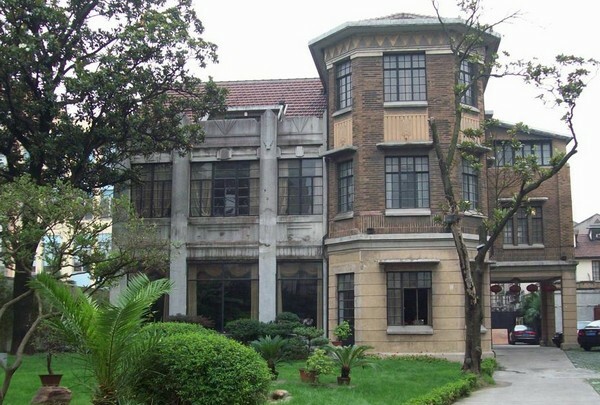 It is located in an old house on the North Road of Maoming, with two floors. You can buy Hard Rock souvenirs and T - shirts on the first floor. The second floor is the restaurant, where you can enjoy live music shows. Menu is extensive, with fried chicken and their legendary hamburgers. You'll see a lot of foreign tourists here. A noodle shop in Changning district that's famous for its perfect collection of crabs and noodles. A noodle shop where many people often queue up, seafood noodles, bullfrog noodles and crab noodles are their special recommendations. 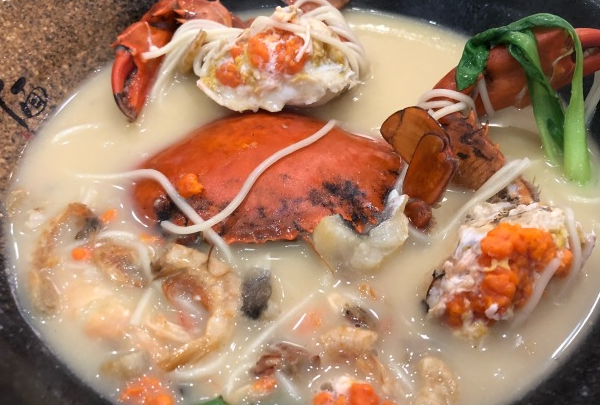 Although a crab is not very big, it is very delicious, filled with rich soup and elastic noodles. If you want to taste authentic Shanghai noodles, this is a good choice. The road of love that every couple wants to go to is in Shanghai, the road of sweetness and modernity. 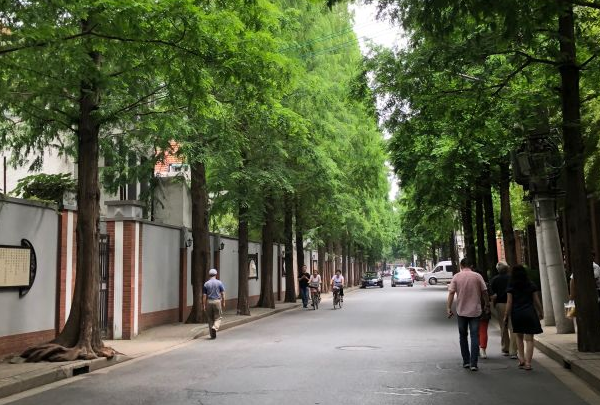 Walking along Hongkou park is sweet love road. The sweet love road is not far, it is only a few hundred meters away. Tall buttonwood trees are on both sides. There are often couples taking pictures here, and there are also people taking wedding photos. This road is the symbol of love.